This week Strands of Thought is a World of Ink tour host to Andy Smithson: Blast of the Dragon’s Fury. Welcome to Strands of Thought, Andy. Tell us a little about yourself and what your life is like. Hi, I’m Andy Smithson. I’m ten years old. I live in Lake Hills, TX. I love playing video games, especially Dragonslayer. My parents both own companies and are always really busy. I have an older sister, Megan (aka Miss Perfect). My parents like her better than me. She’s always getting straight A’s. Me, not so much. I feel like I’m always in trouble at home for not being responsible or respecting someone. I don’t try to get in trouble, it just seems to follow me. My brain does funny things. At times, I feel like I’ve been transported to a different place. I know, it sounds crazy, but it’s true. When I get back, people never believe me, especially my parents. They tell me to grow up and usually punish me to try to teach me a lesson not to daydream. I’m not! No way I’m going to convince them of that though. Anyway, I was being punished, I had to do dishes by hand, I know, stupid, especially since we have a perfectly good dishwasher. What doing dishes has to do with learning to respect authority I’ve no idea. So, I was doing dishes one night when everything went dark and I ended up crashing into the King’s Laboratory. Talk about weird! I’m supposed to retrieve several ingredients to break a 500 year old curse of dense fog that’s been put on the land. What have you learned about yourself while trying to break the curse? I used to just think about myself. But since I got to the land of Oomaldee, everyone has treated me so well. They actually respect me and ask my opinion. I love these people and I think they love me. The King even said so. Made me feel warm and fuzzy inside. Anyway, I’m scared about all I’m up against, like fire-breathing-dragons, people-eating-giants, vicious attacking vultures and more. In the past, I would have just turned my back on the problem because it’s not mine. But, I’m not this time. Because I love these people, I’ve decided to help even though I’m scared to death, at times. It feels like a new beginning for me. My best friend is Alden. He’s a servant in the castle. I met him when I first got there. He loves riding his Pegasus, Optimistic. He’s really good at it too! He won first prize in the Tower Chase competition at the annual Festival of Oomaldee. He’s a good friend. I’ve never known anyone like him. We get along really well. I respect him for standing up against the prejudice that the people in Oomaldee have against the people of Carta where he’s from. Oh, he’s got bright green hair, too. And I love his mom, Marta. She makes the best chocolate chip cookies! Playing videogames, playing videogames, playing videogames, in that order. I love chocolate chip cookies, just out of the oven, all gooey and soft… Ooooh, so good. I also love chicken and dumplings and S’mores. Andy, if you could change one thing in this world, what would you change? I just want my mom and dad to respect me and accept me for who I am. Thanks for joining us today, Andy. Your adventure sounds thrilling! 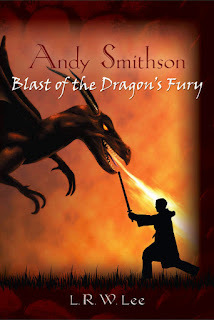 Readers, here is more information about Andy’s story, Andy Smithson: Blast of the Dragon’s Fury. 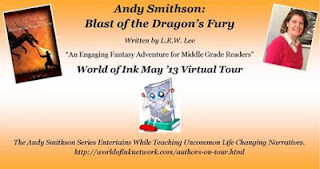 L. R. W. Lee’s debut novel, Andy Smithson: Blast of the Dragon’s Fury, is described as a riveting book filled with visible humor, clever touches, vivid imagery, and unexpected twists and turns, that can’t be put down. From the After Life, ten-year-old Andy Smithson’s relatives initiated a curse 500 years ago. Now they no longer agree it should continue and one is willing to sacrifice Andy’s life to end it. Unaware of the disagreement and with no say in the matter, Andy is unexpectedly and magically transported from his home. 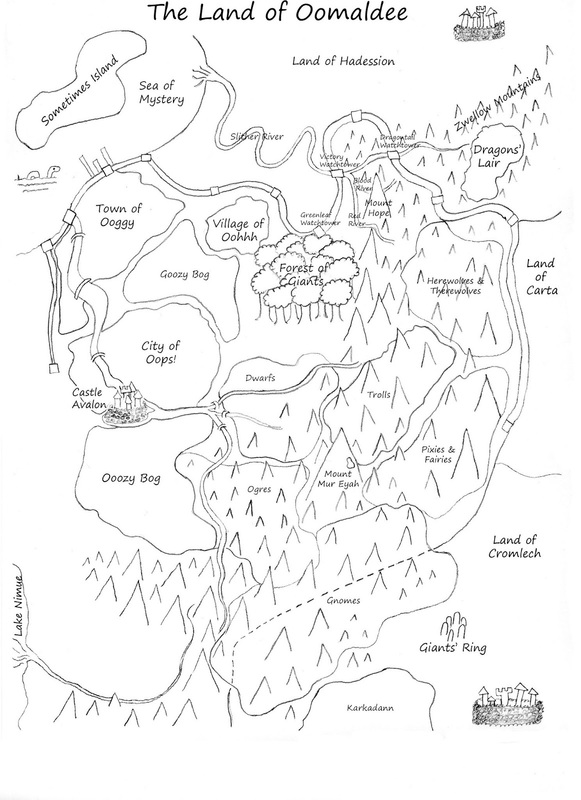 He finds himself in the Land of Oomaldee, facing mortal danger at every turn as he seeks to find a scale from a rare red dragon, the most ferocious of dragon species, to break the curse and save his life. Both the eBook as well as the paperback are available at Amazon.com or you can get the paperback and other gear, like T-shirts, at my website at www.lrwlee.com. While you’re there, be sure to check out the Read, Review, Refer reward program where you can get a free copy of the next book. As early as 8 years old, L. R. W. Lee wanted to write a book, but had an inner barometer that measured whether her words would just fill up space/time or meaningfully contribute to better another’s life. At the time, she felt like she didn’t have anything meaningful to say. She hoped she would one day. Born in Upstate New York, her family didn’t have a lot of money. She and her older brother were encouraged to use their imaginations to entertain themselves. And use them they did – climbing trees and tree forts, using a quilt for a matchbox car city, making puppets and putting on shows, and much more. L. R. W. Lee went to college and got a degree in Accounting. However, most folks frown on “creative accounting”, so she put her imagination on hold. Her business interests eventually led her to founded and grow a successful company which, with her partner, she successfully sold in January 2012, leaving her time to imagine and write for the first time. L. R. W. Lee lives in scenic Austin, TX with her husband, her daughter who is a Longhorn at UT Austin and her son who is in high school. The Sound of Music is her favorite musical. She hates scary movies. 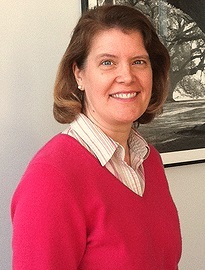 But, loves piano and strings music, sunsets in Hawaii and a good cup of decaf, French press coffee (yes, decaf!). She also loves Ansel Adams prints, as well as all manner of kinetic art. Hi Andy. Nice to meet you. Your story sounds fascinating. The dragon on your book cover looks ferocious. Be careful. Don't let him singe your hair. Ha ha, good advice, Bev. I do love the cover of Andy's book! Wow, it is wonderful to hear about the story from the main character. Great Interview and thanks for having Andy on to tell us more.